Two dreams converged this month when PACESES began offering tutoring to young consumers on Thursday evenings. PACESES management had recognized the need kids have for support in succeeding at school. Jonathan F. Smith had founded the Legacy Foundation to give youth options for the future. Nadine Cumberbatch, PACESES service coordinator and Jonathan’s acquaintance, was the connecting link to help bring the two dreams to reality. 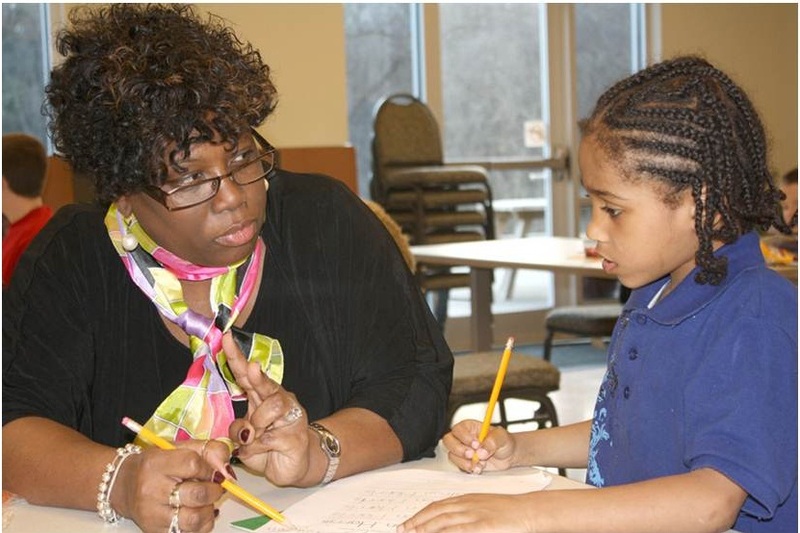 Twelve consumers registered for tutoring; seven came the first Thursday from 6 to 7 p.m. Ten volunteers—recruited by Jonathan and from PACESES staff—agreed to do the tutoring. And there’s more to this story of building relationships and forging partnerships to help kids. Twyla Fauntleroy is one of the tutors; another is Candace Haines. Twyla is the mother of Brandon Fauntleroy McDowel, former PACESES case manager in whose memory the McDowel Building is named; Candace was Brandon’s fiancée. Brandon’s life was cut short in 2008 when he was murdered in in attempted robbery. Jonathan knew Brandon; they were both members of the Alpha Phi Alpha fraternity. Jonathan recruited Twyla and Candace as tutors; Twyla got a co-worker involved. Relationships are being formed among the PACESES consumers and their tutors. The goal is to grow the program with more kids and tutors during next school year. Twyla Fauntleroy, mother of Brandon Fauntleroy McDowel, former PACES case manager, said that she wouldn’t miss a Thursday night volunteering for PACES. Twyla helps Katron with his homework. See the PACES newsletter for more info. TO BECOME A VOLUNTEER EMAIL jonathansmith@ourlegacyfoundation.org.